With traditional banking institutions finally out of the payday lending game, who’s left to swoop in to take care of the unbanked? Apparently, Senator Elizabeth Warren (D-MA) thinks the United States Postal Service has what it takes. In an op-ed on the Huffington Post Sunday, Warren endorsed the idea that the USPS could use its infrastructure to extend basic banking needs, such as debit cards and small-dollar loans, to those who are ignored by the banking industry, ThinkProgress reports. “With post offices and postal workers already on the ground, USPS could partner with banks to make a critical difference for millions of Americans who don’t have basic banking services because there are almost no banks or bank branches in their neighborhoods,” she wrote. Last week, the Postal Service Office of the Inspector General issued a white paper suggesting the USPS could make nearly $9 billion by partnering with banks to offer financial services to those Americans who are unbanked or under-banked. In an interview with Consumerist last week, Postal Regulatory Commission Chairman Ruth Goldway echoed the report’s findings saying post offices would be an excellent resource for providing safe, secure access to basic financial services. Providing payday loan-like services would be one of the cornerstones of the Postal Service’s financial plan and could potentially save Americans hundred of millions of dollars each year, the USPS report says. The USPS would offer small-dollar loans with low-interest rates. 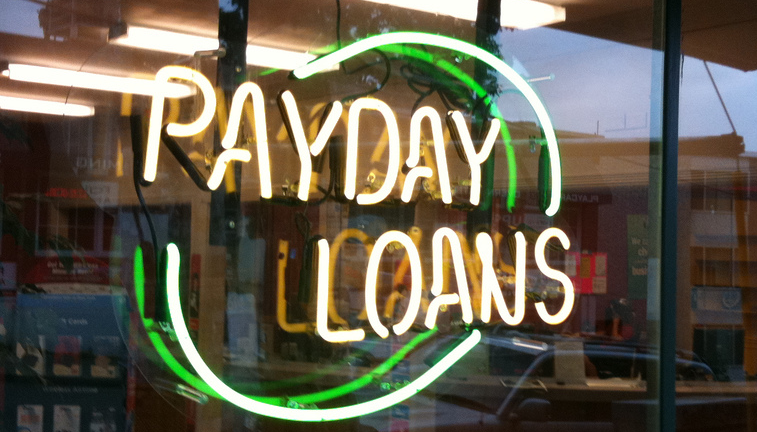 As an example, the report compares a traditional $375 payday loan to a “postal loan” of the same amount. The traditional loan has a 391% interest rate, adding up to $520 in fees, while the “postal loan” would come with a mere 28% APR and $48 in fees. For the financial services dreams of the USPS to come true, they would have to find banks to partner with. And while banks are promising to find alternatives to their shuttered small-dollar, high-interest payday loan-like services, they are also facing tougher requirements by federal regulators. More stringent regulations are the reason Wells Fargo, U.S. Bank, Fifth Third Bank, Regions Bank, Bank of Oklahoma and its affiliates and Guaranty Bank discontinued their deposit advance programs last month. After the banks announced the discontinuation of deposit advance programs the National Consumer Law Center urged them to follow certain criteria, including capping the annual percentage rate at no more than 36%, when considering new small loan programs for consumers. Previous Planning Your Funeral At The Mall — Creepy Or Convenient?